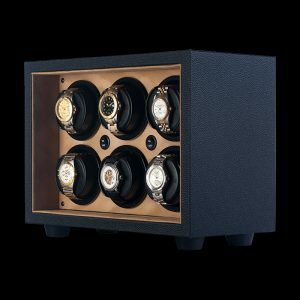 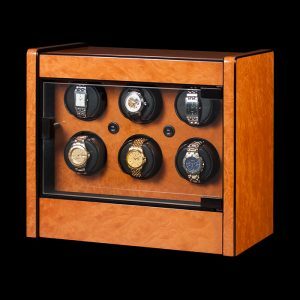 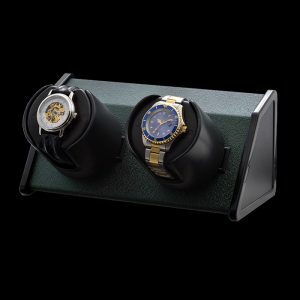 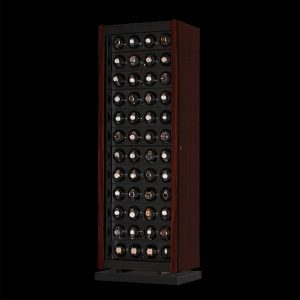 The Avanti 9 is based on our smaller Avanti winders and is designed to wind nine watches and is equipped with two storage drawers. 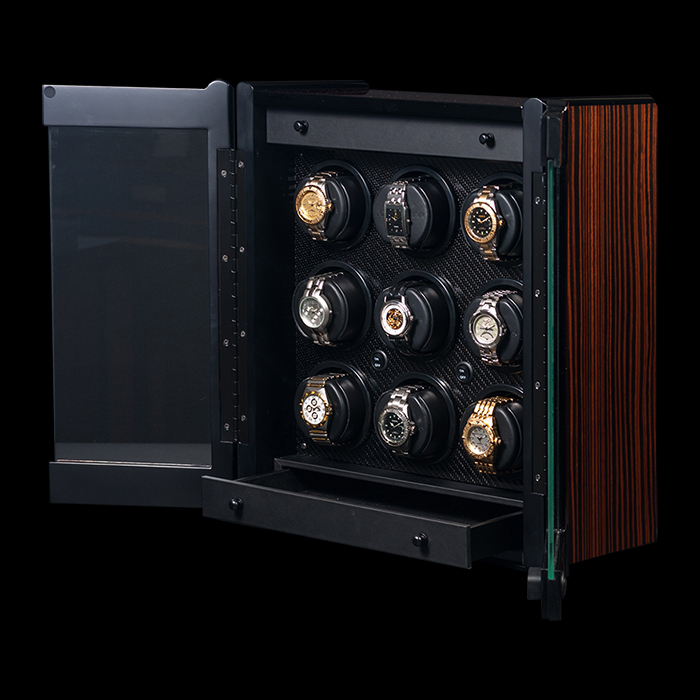 Central power switches activate the winders but individual stations can also be turned off when not in use. 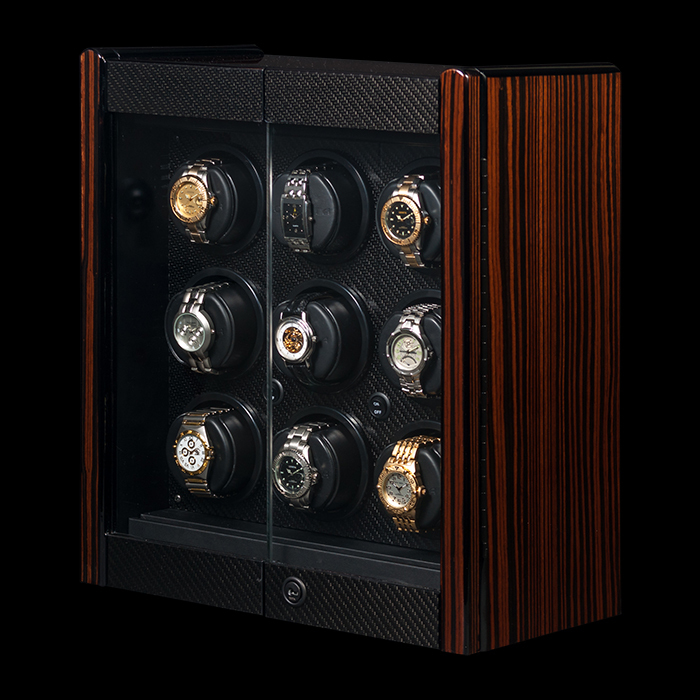 Combining exotic Macassar veneer and genuine carbon fiber trim results in an impressive cabinet that will retain a great look forever.